Sink into the lobby chairs and enjoy the view of the lake any time of the day. 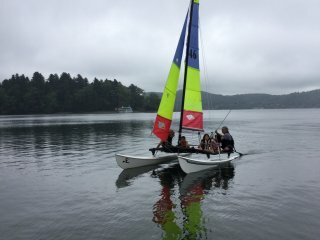 Nojiri Lake Resort has paddle boards, row boats, kayaks, and a catamaran for rent. 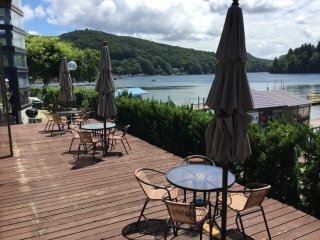 The resort's private BBQ deck. The shrine on Biwa Island. Looking out from Biwa Island out into the lake. 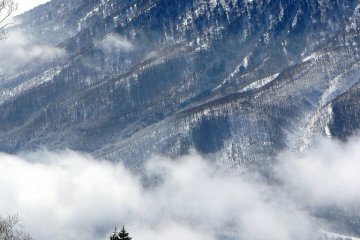 For a change of pace, head to Nagano, and for a moment, you will feel like you have stepped into Switzerland. 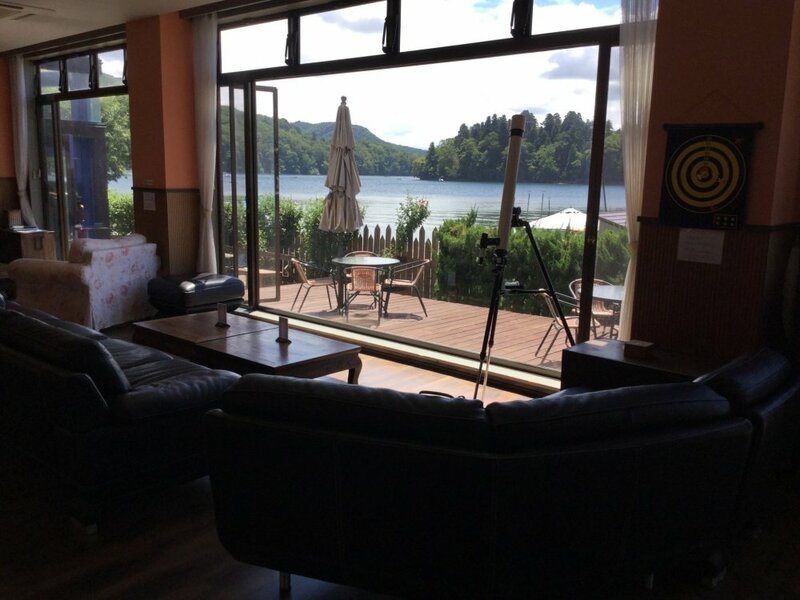 And for the best accommodation in the Nojiri Lake area, check out Nojiri Lake Resort. 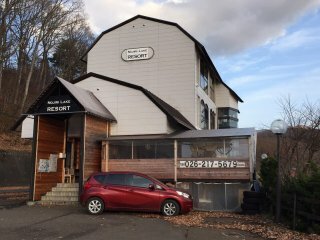 You can't get any nearer to the lake than this resort. Every room, including the lounge and the breakfast room, has a sweeping view. 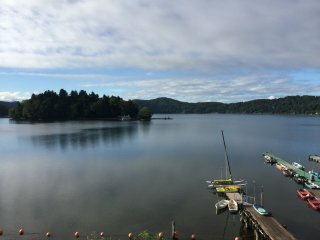 The rooms are simply furnished and clean, which is all you need for a good night's rest, because you will be spending most of your time in the great outdoors anyway, canoeing, sailing, paddle boarding, skiing, cycling, barbecuing, or hiking -- your choice. 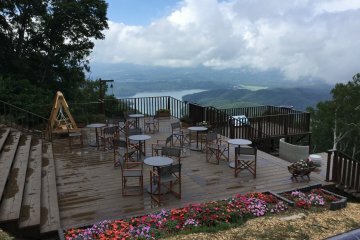 Nojiri Lake Resort has an assortment of equipment you might want to use but otherwise, the exceptionally friendly and accommodating staff will go out of their way to help you make arrangements. Add the fresh and healthy breakfast buffet to your accomodation package to take away the worry about what to have for breakfast. And if you miss breakfast, coffee and tea are available throughout most of the day. Room rates begin at ¥4,400, an amazing value for the location and the service you will receive. 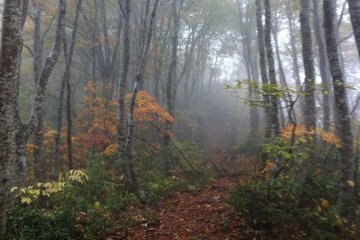 From JR Tokyo or Ueno stations, take the shinkansen to Nagano. 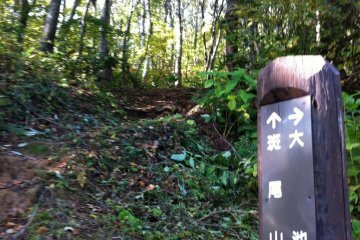 Change for the train bound for MyokoKogen and get off at Kurohime Station. 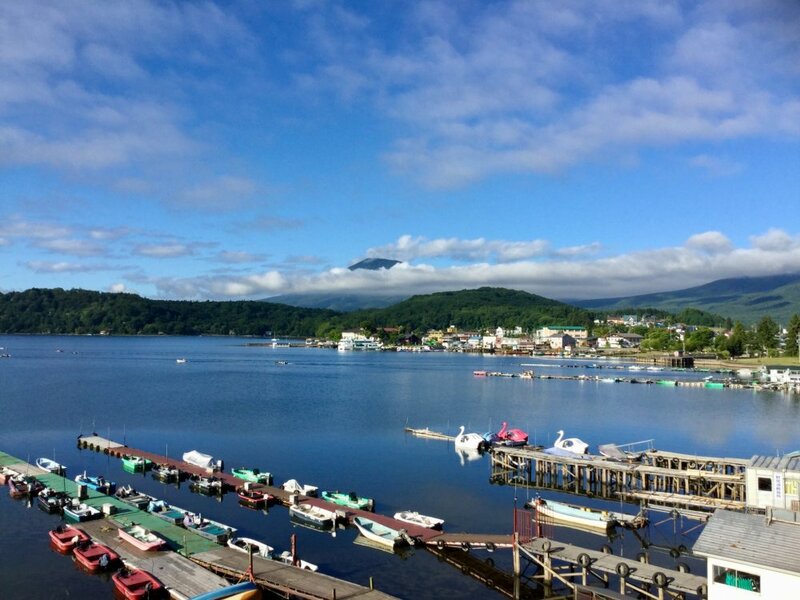 Either take the Nagaden bus to Lake Nojiri or arrange with the resort for a station pick-up.